Halloween is biiiiiiig business here. To give an example of just how big it is, last Halloween $370 million was spent on fancy dress in America. I kid not; Ian found this statistic by mistake when he was researching something completely different. I shudder to think how much is spent on children’s costumes if that’s how much is spent on animals’. 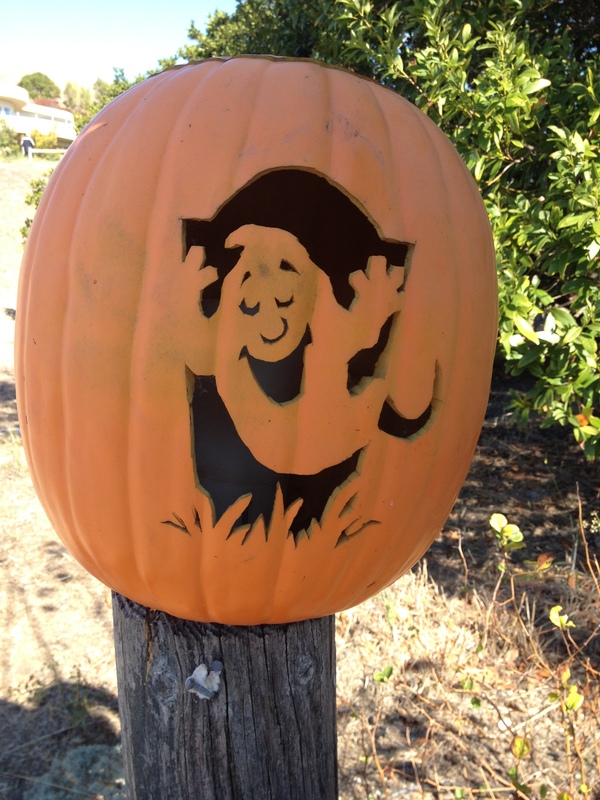 Halloween is such big business that houses are already being decorated with ghouls and ghosts. One friend says she has 2 boxes of decorations still to put up. It’s such big business that the volume of bags of mini chocolate bars dwarfs all other types of chocolate and candy in the supermarkets. Everyone knows that there will be a swarm of Trick or Treaters to appease. 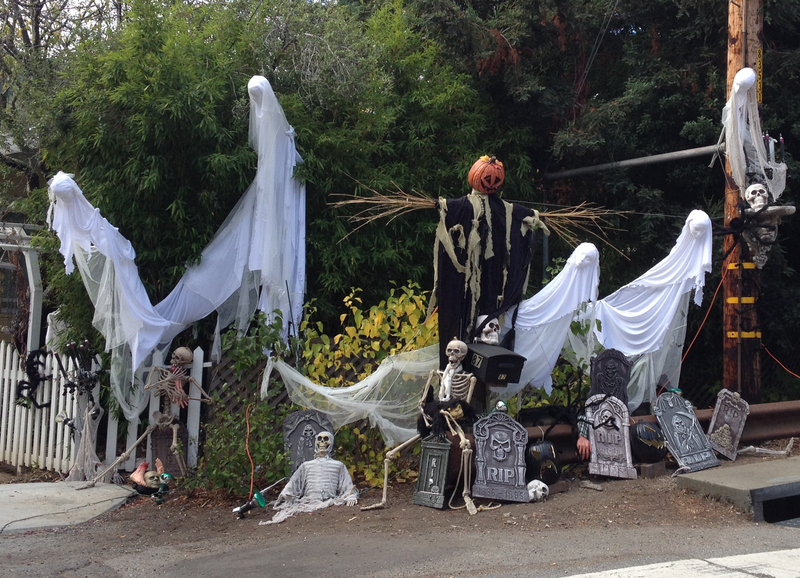 Just one of the many houses that have been decorated already; even though Halloween isn’t for another 10 days. It’s such big business that each family with children of Trick or Treating age is expecting to receive a sweet shop’s worth of sugar from their neighbours. One friend says that their household has a special Halloween Fairy that arrives the day after Halloween, who leaves each of her children 12 candy bars (one for each month) and then magically makes the other thousand bars disappear. And the friend claims she’s not exaggerating. It’s such big business that significantly more eggs and tomatoes will be sold next week than usual. We’ve been invited to a Halloween party and advised to park a few streets away to avoid our car being egged. It’s such big business that nearly half a billion dollar’s worth of greeting cards will be sold within the next 10 days. It’s such big business that America’s National Retail Federation anticipates that the amount that will be spent on Halloween this year (on candy, decorations and costumes) will be $6.9 billion! But this is down from last year, when spending hit $8 billion. That’s the economic downturn for you. Frankly, I think it’s all a bit batty. But we’re dead excited about it. 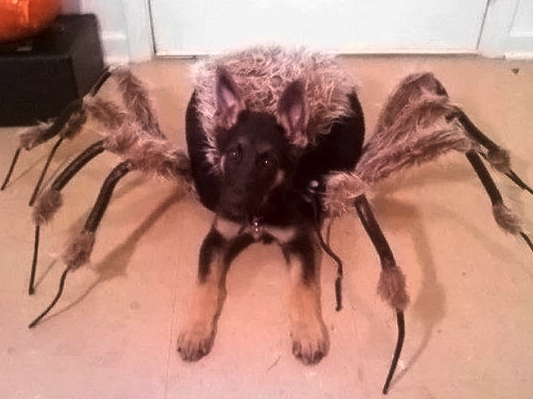 This picture of a dog’s Halloween costume has been doing the rounds on Facebook. Imagine seeing this running to greet you.